It’s 7:15am and we’re on Silhouette’s bow; keen for our first glimpse of Valletta. The sea is calm and as the sun creeps higher in the sky, on a surprisingly warm November morning, we edge our way into The Grand Harbour. 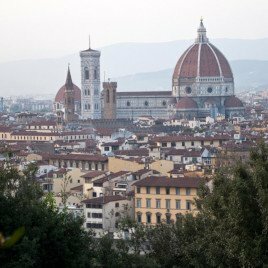 The rising sun paints the sixteenth-century bastion walls gold and we can see small cube-like buildings interspersed with honey-coloured domes, spires and arches. 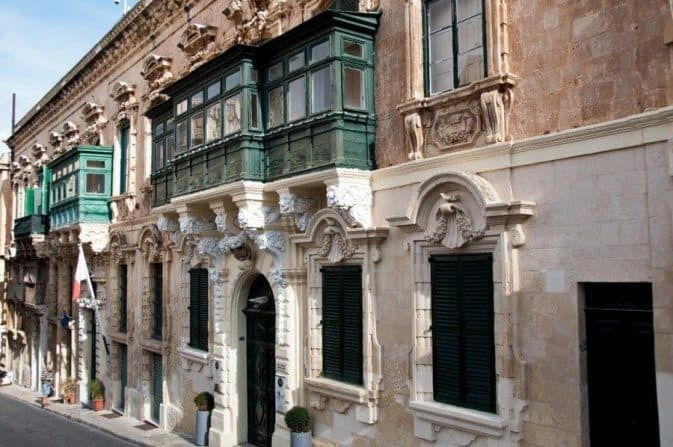 Valletta might be small but it’s steeped in history and it’s incredibly easy on the eye. 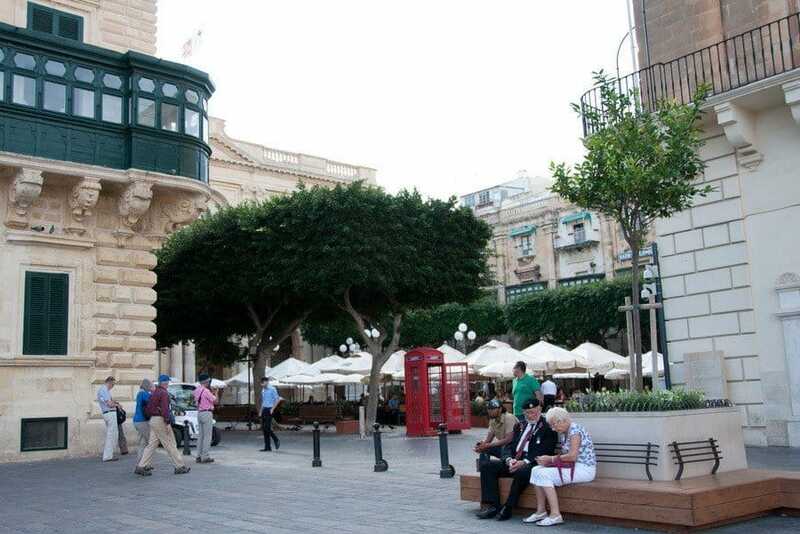 Valletta covers an area of less than one square kilometre and its grid system makes it easy to get around on foot. It’s a pleasant place to wander so, in the two hours we had, that’s exactly what we did. We disembark and take the five-minute walk to the 20 storey lift which will deposit us at The Upper Barrakka Gardens. At €1 return it’s worth every cent to avoid the knee-crunching hike up the steep 280 steps. The gardens are the perfect spot for enjoying the panoramic views across one of the world’s largest, deepest natural harbours. We watch as cannons are prepared for the midday salute. 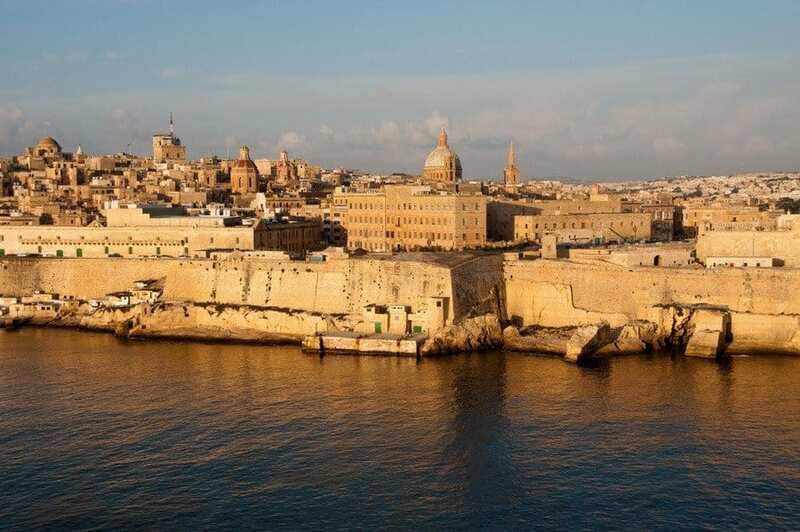 Valletta takes its name from its founder, Grandmaster Jean Parisot de la Valette and owes its existence to the Knights of St John, who planned the fortified city as a refuge for injured soldiers and pilgrims during the 16th century Crusades. 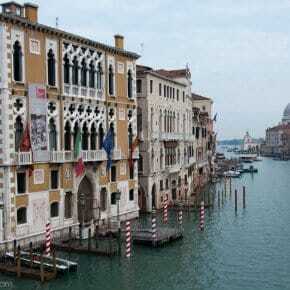 An Auberge is where the Knights lived. 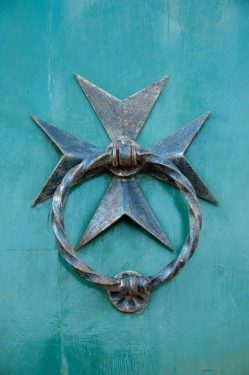 During their first years in Malta, the Knights served once a week in the hospitals – in return they lived in their Auberge for free. 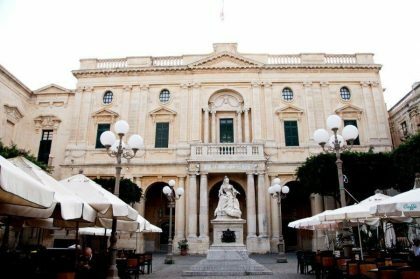 Of the original eight Auberges only five remain, the finest being the Auberge de Castille and Leon; severely damaged during WWII the building’s been restored and now houses the office of the Prime Minister. 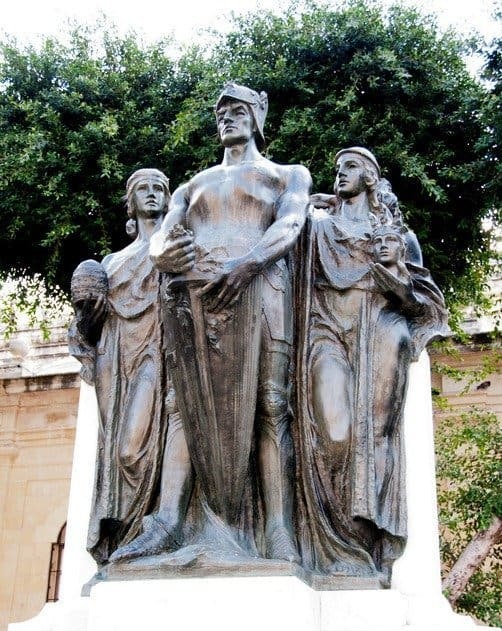 Fortitude flanked by faith and hope – this bronze monument commemorates the Great Siege of 1565 when the Ottoman Empire invaded the island. 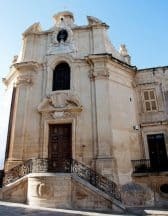 The Knights, helped by 400 Maltese men, women and children and about 2,000 foot-soldiers won the siege against the Turks, one of the most fiercely fought, bloodiest battles in history. 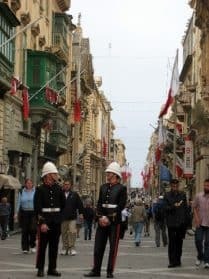 Malta has a solid British connection and played a key part in the Mediterranean campaign in WWII. It was one of the most intensively bombed areas during the war and suffered terribly during during The Siege of Malta where the enemy were determined to either bomb or starve the Maltese into submission.The people were rewarded for their bravery when George VI awarded the entire island the George Cross. It was Remembrance Sunday and could hear catches of music from a military band and glimpse them passing by the end of the street. The flash of a scarlet poppy could be seen on many a lapel and on the iconic British telephone and post boxes which are still used. We felt quite at home! A walk through the quiet, narrow back streets gives a taste of everyday life and an opportunity to meet some interesting characters. 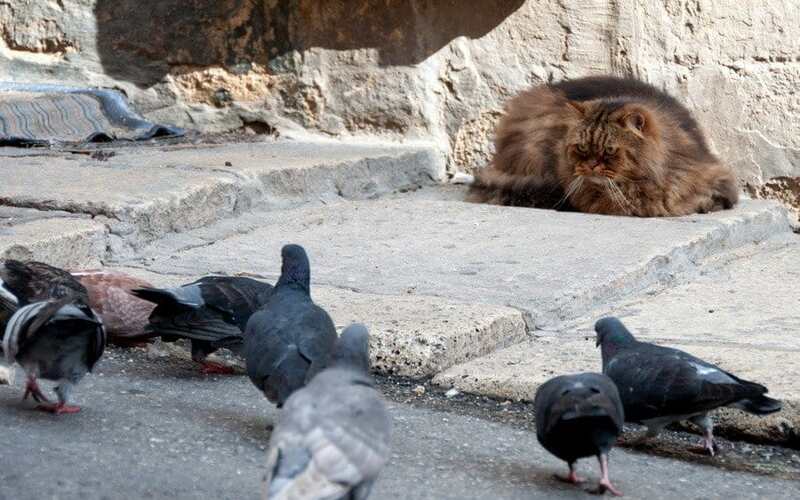 His owner told us how his furry friend will go after a pigeon if it’s alone – when there’s a few he’s not so brave and just glares! 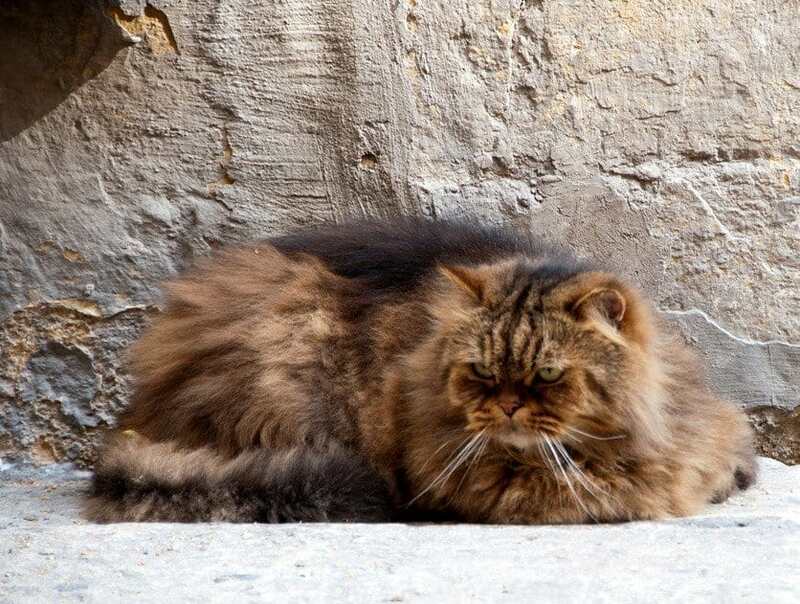 The old man would have liked us to stay and chat for longer – they’re a friendly bunch, the Maltese. 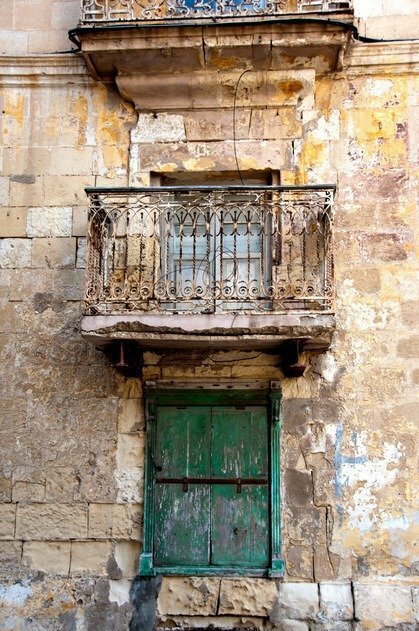 The sun-bleached buildings of Valletta’s streets are adorned with galleriji; the city’s traditional balconies. 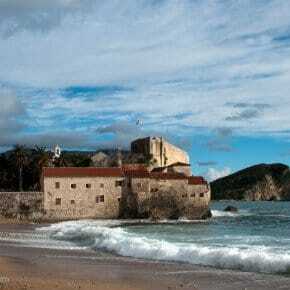 We pass the fort of St Elmo on the far end of the promontory and walk back along the quiet quay towards the ship. Some Mods on Lambrettas buzz by and we pass fishermen casting lines for their lunch – there’s a chilled Sunday vibe about the place. 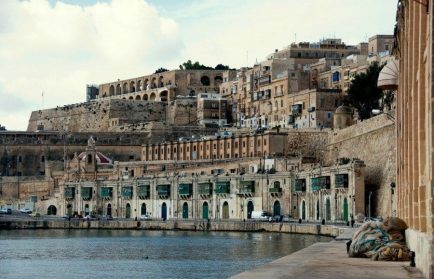 Too soon we’re back at Valletta Waterfront which sits just below the city’s fortifications. 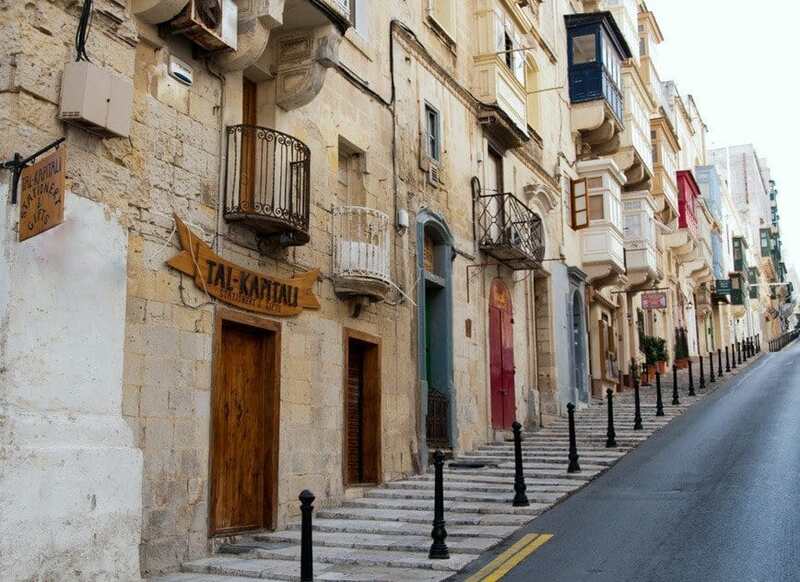 It used to be called Pinto Wharf before being beautifully renovated and is home to some vibrant bars and restaurants – the dining options in Valletta are good and varied. 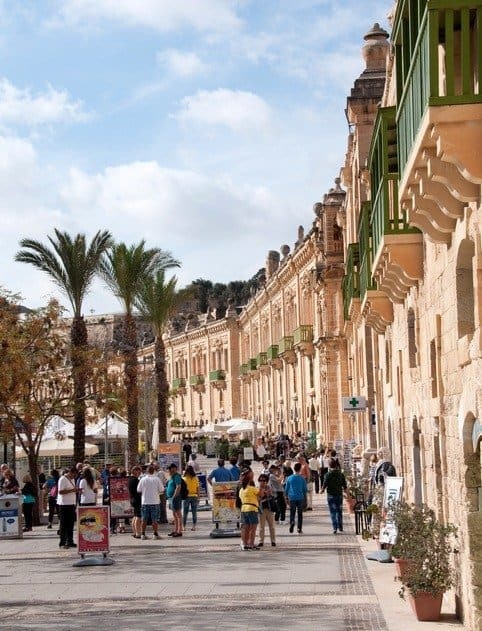 Malta is saturated in history and needs at least a week to delve into its vibrant past and then maybe another week just to relax and enjoy its food, wine and hospitality. 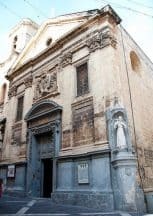 But we’ve had a taster which will do for the time being; now we must board, pack and leave for the airport as this is where our cruise ends; but I shall return one day to explore properly and immerse myself in Malta’s rich history. Many thanks to Celebrity Cruises UK for hosting me on my first cruise. As always views and opinions; good, bad or otherwise are entirely my own. Nice one Suzanne. You keep adding destinations to our ‘possibles’ list. Just not enough time do visit them all. Gorgeous photos and intriguing prose – thanks! 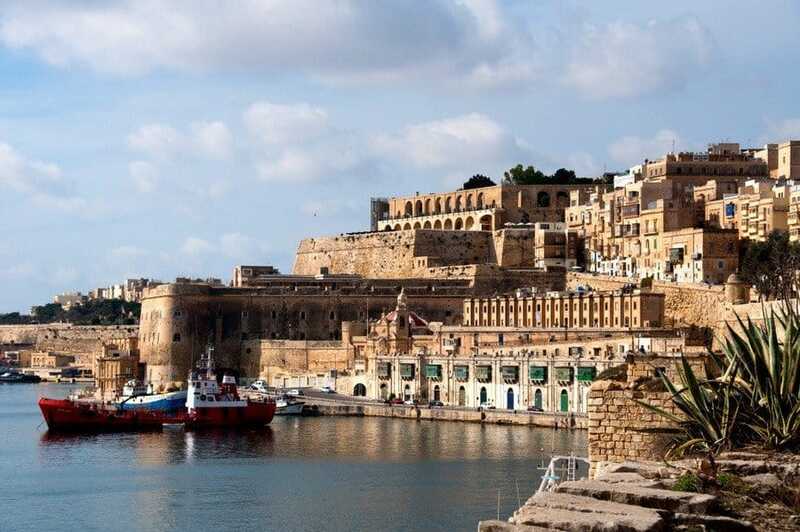 Malta’s been on our wish list for years now… someday! We were there last fall. . .on the Silhouette, cruising into the harbor in the early morning hours. 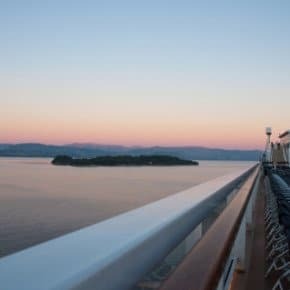 You brought it all to life again. . .an amazing reason to hop a cruise ship and explore the world! 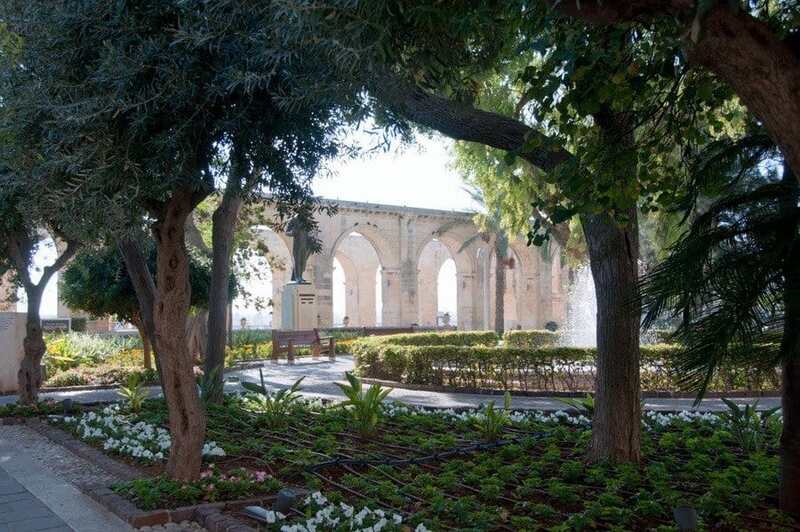 Beautiful photos from one of the most beautiful places in the Mediterranean. 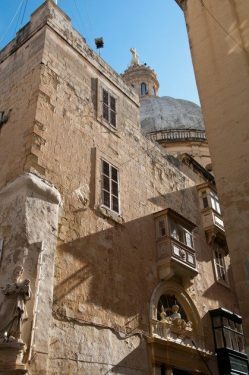 Malta always intrigues me for its rich history as it is strategically located at the crossroads of the Old World powers. 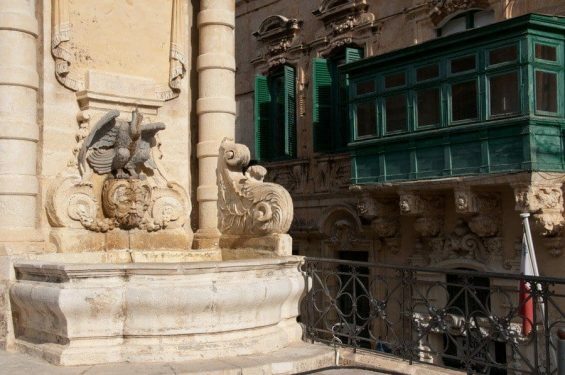 The history is fascinating – a lot of nations have ‘had a go’ a Malta over the years! Thanks for visiting. It looks like a beautiful place! It’s definitely on my bucket list! Thanks for posting your lovely photos! I am a sucker for anything to do with the Knights Templar! This sounds like a real treat. Thanks for the lovely tour and images Suzanne. 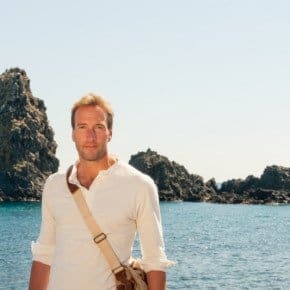 I’d love to have the time to learn a lot more about the Knights Templar – I first learned a little about them when I visited Rhodes – another fascinating place. Quite the tour ! Love the balcony especially. That last picture with the green shutters (or door?) 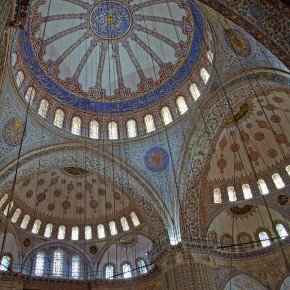 is simply gorgeous – what an interesting place! Thanks Meg – that seems to be a popular pic! Weather could be good if Nov was anything to go by. If he likes his history and the Knights Templar he may be persuaded?! I love Gerry and his friends. 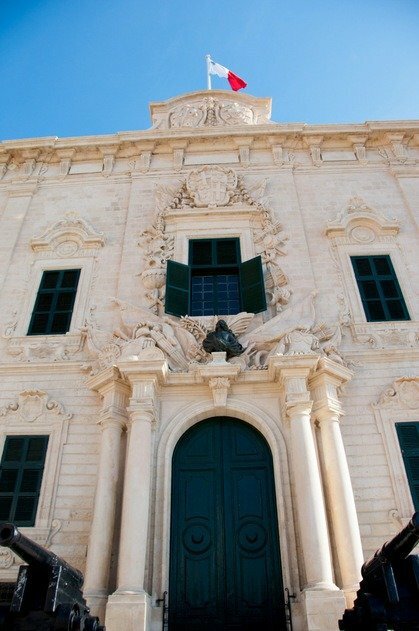 And Valetta is beautiful too! Lovely images. Somewhere on my hitlist. It looks like you had decent sunshine for November. I remember going on a country walk in the Cotswolds on Remembrance Sunday and it was bitterly cold. Weather was fantastic – really hot t-shirt weather! Beautiful; could you have spent more time there? I visited here 40 years ago and actually remember some of it…must go back. It looks gorgeous. That final picture is my favourite! Suzanne, another place I haven’t been to – Malta. But I have friends that returned year after year … they say the water is so salt there – in the tabs. *smile Just beautiful and with all that history – we up here in the North are Rockies. The last photo in the gallery is my favorite …. and Gerry of course. Miss my two cats now … Whiskey and Zoda. Thanks for a beautiful post. I miss mine at times … and I would love another one, but not so long as I travel as I do, not fair against the pet. She was a dear – same here not fair to be away so much. We love looking after our ‘granddog’ Taz who belongs to my stepson and his girlfriend! 🙂 Westies are so cute! Yes, they are and they have a great personality too … Granddog – like that word.